So how could we not have David Beckham? It helps that he has one of the most sought after overall looks among athletes, and also that Guy Ritchie loves giving him cameo roles! But, possibly the best part about researching an article about a guy like David Beckham’s diet and nutrition is the fact that there are so many resources available to choose from. So expect a ton of information! David Beckham is just below average height among celeb men we’ve seen, actually. Missing the “average” category by about an inch. That average height falls in the range of 6’1-6’3 with celebs like Chris Pratt, Chris Hemsworth, Chris Evans, Adam Driver, Stephen Amell, Clive Standen and so many more. One thing that was a “secret” for a long time was the fact that David Beckham has a mild case of asthma. And the only reason it’s actually relevant is because his diet is adjusted to help keep it in tabs. “Our findings suggest that a diet rich in fruits, vegetables, and fiber is more likely to lower asthma symptoms,” says lead researcher Roland Andrianasolo of the Paris University Nutritional Epidemiology Research Team. “From a public-health perspective, our results encourage people to promote healthy diet behavior rather than eating specific foods or nutrients,” he says. Jumping back to ITV: they report that Beckham eats a diet of lean meats, high in leafy vegetables, beans and cauliflower, sourcing his fats from yogurt and olive oil; a diet very much in line with the recent findings. David Beckham has a very clean diet, which probably comes as no surprise. He consumes very little fat and has a high intake of lean protein, like fish and chicken. The fat that he does include in his diet comes from healthy sources such as olive oil and yogurt. Beckham is also all about vegetables. He eats plenty of leafy greens, beans, and cauliflower to provide himself with healthy complex carbohydrates. Beckham made several changes to his diet and exercise program after he stopped playing soccer professionally. Which led him to finding a sustainable diet for his lifestyle! Have you ever heard of “fitness snacking”? Well you’re about to. 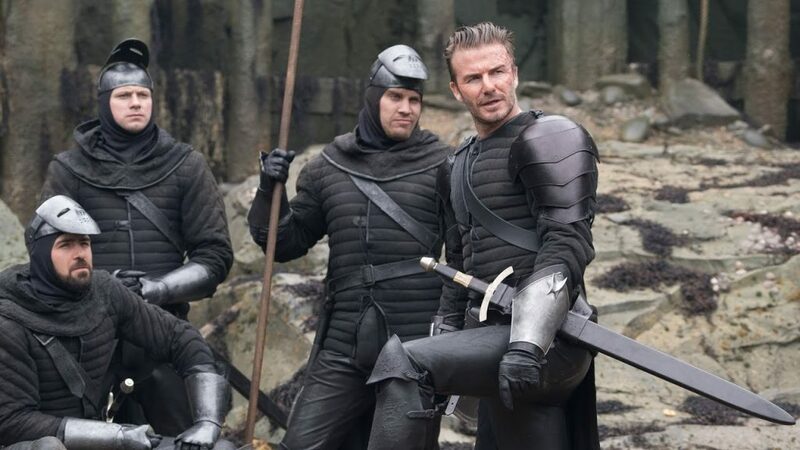 Because David Beckham is into it. Of course he probably had a much more intense workout routine when training to be a professional soccer star, BUT, similar to his workout, he has made changes that revolve around his new lifestyle. And, we’re here to get ripped like him, so if we can do that with LESS, why not? It’s also been reported that sometimes this fitness snacking involves some other forms of exercise. In terms of exercise, Beckham chooses to stay fit by exercising both indoors and outside. Plyometric exercises, or movements that use body weight quickly and efficiently, are Beckham’s go-to for getting in a workout. Plyometric exercises require no equipment and can be done anywhere. He also enjoys short sprints for conditioning. This makes sense coming from a guy like Beckham who has soccer still running through his blood. 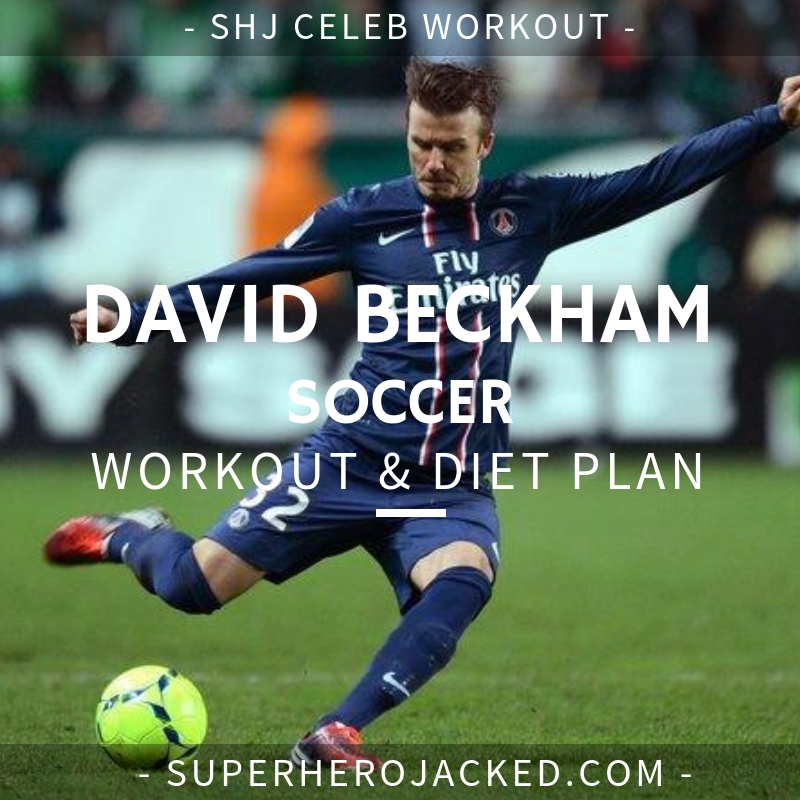 Speaking of which, I do want to give you SOME information about Beckham’s soccer workout, for those of you who landed here in search of something a little more intense from this stud. Men’s Health has a separate article with Beckham in which they specifically talk about his trip to greatness in terms of soccer. They also include some information that leaves to a mini-five-week program. I will give you some information about it, and also include it below, on top of some programming for your fitness snacking. Soccer is one of the world’s most physically demanding sports, so it’s no surprise that David Beckham’s conditioning plan is grueling. Check out this snapshot of his training regimen, courtesy of Chris Neville, fitness coach of the Los Angeles Galaxy. Then try our modified version of the 5-week workout (which I will add below), which we’ve tweaked slightly for the average guy. And while you may not be competing at world-class level, this high-intensity interval plan will help you look as if you do. So you’re going to be getting the best of both worlds on this one. Training for sustainability AND intensity. 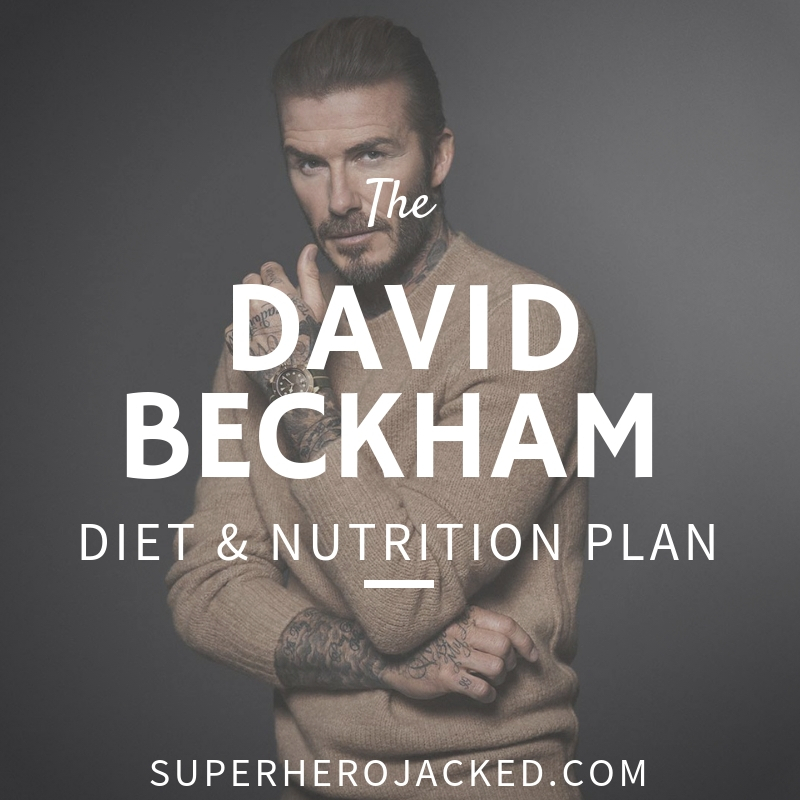 For this one we’re going to have some “fitness snacking” as David Beckham uses. We’ll have bodyweight, pylometric, and cardio styled workouts to choose from, but also some other activites you can add in to keep moving. 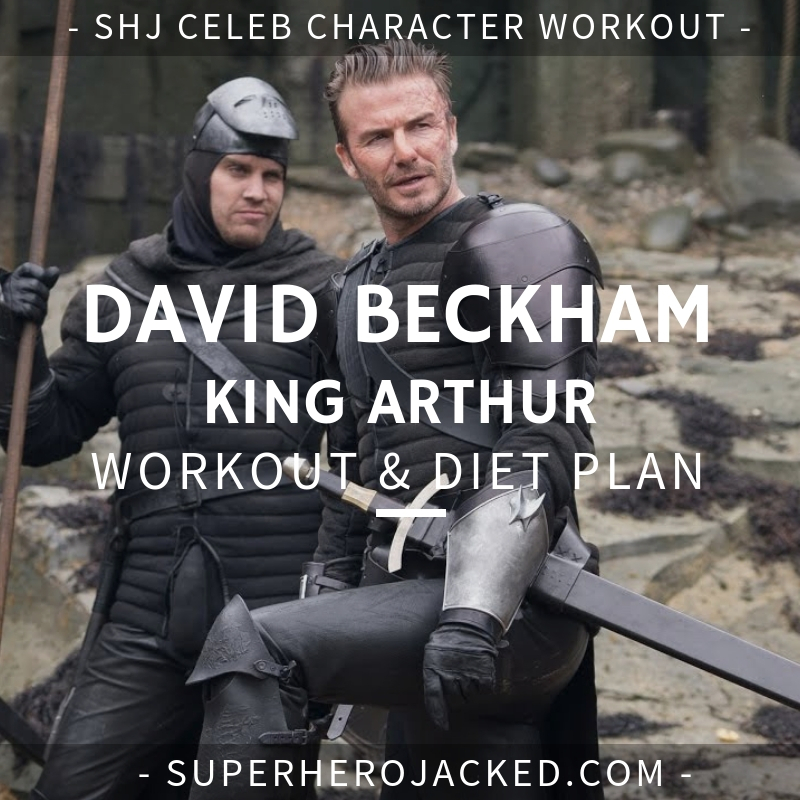 The two workouts listed above are a great way to get in a quick “fitness snack”, and I made sure to use movements that Beckham and his son have been seen doing together. That being said, Beckham has also talked about getting in these “snacks” in other formats. I will list a few for you below. My favorites are a variation of the first three, 20 minutes each on cardio day. Hiking, Rock Climbing, Sports (Soccer…Basketball, Football, etc. etc. ), Yoga, Pilates, Spin Class, etc. Check out MMA programs on the site from Coach Derek here: Moon Knight, Deathstroke, Daredevil. For some Thai Boxing fun check out Anna Diop’s routine. Twice a week for 5 weeks. This one is shared from Men’s Health if you’d like to take it up a notch – add this in on top of your other training! Perform your challenge twice a week at an intensity tailored to your maximum heart rate (MHR).